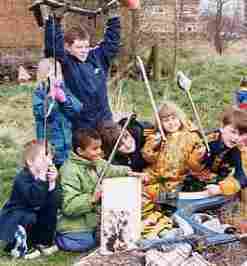 Following a Special General Meeting of Dundry Hill Group on Friday 25 November 2005, the Group has now been wound up. This follows a period when it became impossible to find enough volunteers to elect a committee. The notes of the S.G.M. are available in PDF format here, and the letter with the agenda for the meeting is here. 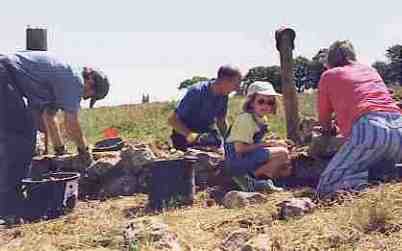 This website will remain as a record of what Dundry Hill Group achieved during its period of existence. Malago Valley Conservation Group has undertaken to maintain the Malago Spring artwork and to use the funds it has 'inherited' from D.H.G. to support projects which reflect D.H.G. 's objectives. 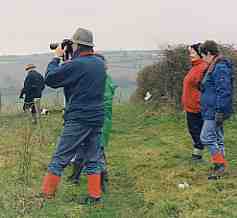 You can visit the Malago Valley Conservation Group website at www.mvcg.org.uk (opens in a new window). Dundry Hill is a very special place. 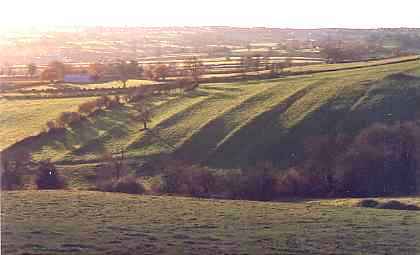 It is a long ridge, running east-west along the southern edge of Bristol. Although not high (230 metres), it visually dominates the surrounding areas - the housing estates of south Bristol to the north and the farmland and villages of the Chew Valley to the south. Poised between town and country, it is under particular pressures. 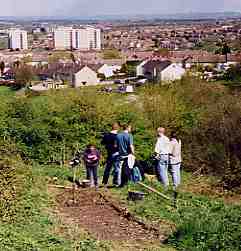 The Dundry Hill Group is a community group dedicated to caring for the Hill and its slopes. The Group wants to reduce fly tipping, promote the maintenance of rights of way and practical countryside management, and increase the number of people enjoying and caring for the area. The area covered by the Group is roughly Winford to Norton Malreward and Chew Magna to the southern estates of Bristol. encouraging appropriate access to and enjoyment of the Dundry Hill countryside and surrounding areas. 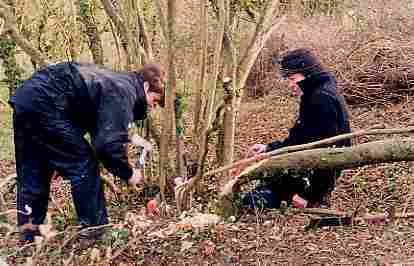 reducing vandalism, dumping and litter in both the urban and rural areas of Dundry Hill. 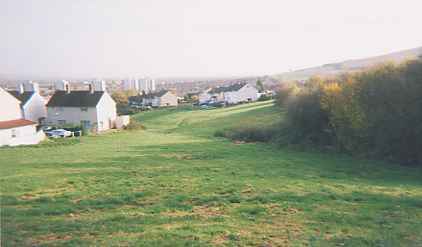 promoting a better understanding and good relationships between all communities and organisations with an interest in Dundry Hill. Public meetings with expert local speakers on all aspects of Dundry Hill - its history, wildlife, geology, archaeology etc. Regular guided walks open to everyone. Surveys of public paths, stiles, bridges etc. Practical working parties to repair dry stone walls, mend stiles and bridges etc. Litter Raids to tackle the worst 'black spots'. Interpretation and education through notice boards and publications. Enhancement of the environment through individual projects (like the Spring Project). Dundry Hill Group works with other local community and voluntary groups; with the parish councils (Dundry, Norton Malreward, Whitchurch, Winford); and with the three unitary authorities into which Dundry Hill falls (Bath and North East Somerset, Bristol, North Somerset). FOR LINKS WITH OTHER ORGANISATIONS CLICK HERE. The Spring Project, to mark one of the sources of the Malago stream with an original work of art. The Walks on Dundry Hill book, to encourage responsible enjoyment of the Hill. This is now out of print, but may be available through your local library. For details of each project, click on its name. For further information, contact (0117) 964 3106 or e-mail andrec@mvcg.org.uk.